The last two weeks I have worked at my old place of work as a temp. As I left today I tried to sum up what I saw. I knew the negativity I felt, as this was familiar, but what could I see? After a hour or so, it came to me. I saw hopelessness.. Once I could name what I saw, I felt sad, but then rejoiced in the fact that I no longer need to feel that way. After 13 years in the rat race, I left feeling hopeless. Since March 2014, I have found my hope restored through various means to get me to where I am today. Although I have my daily fears (usually around money) I have so much in my life that renews this hope each day. Today my eyes are open. After dusting myself down today I walked through the local park. Eyes open I saw wonderful beauty and textures to photograph and draw. 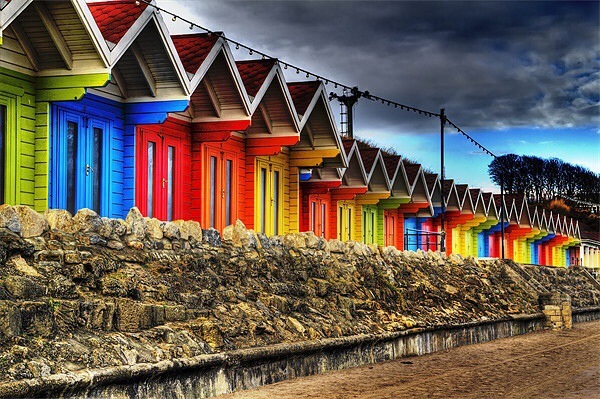 I am currently in Scarborough, England and a late evening walk, has enticed me into going with my camera to the sea front tomorrow and capture the creativity of manmade beach huts as well as the natural beauty made by Mother Nature. Have you ever felt hopeless, desperate and lost? as if all the colour has gone from your life? Have you ever felt like you have no idea how to get it back? Then you will understand the feeling you get when that hope is restored. You will understand the feelings of relief when you wake each day looking forward to whatever is in your path, rather than dreading the negativity and pressure of the rat race. I may be fearful of a life without money, but I must be grateful that I am alive to see the small wonders and to feel that hope again.